Just go to settings, storage. Here on the righthand side top corner you will find a small usb icon, touch on that to get your usb options again. Click the first option and your phone will be recognasied as USB again. AnonD-279813, 01 Oct 2014Saying that the battery life was improved would be admitting that it sucked before. If cour... moreI did not want to assume that they admitted that the battery sucked, but I would have appreciated that they would write that with kitkat os, the consumption of the intel cpu would be optimized. 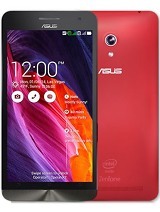 AnonD-313233, 01 Oct 2014http://www.asus.com/my/Phones/ZenFone_5_A500CG/HelpDesk_Download/ Do you think this is upda... moreYes, it is. However it is not available for WW SKU. Do you think this is update for Android kitkat? But when I click on "Check Update" it said that my system is up to date, why? AnonD-279813, 01 Oct 2014No, not yet. 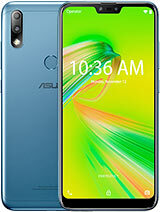 Only some territories for Zenfone 4 and 6. 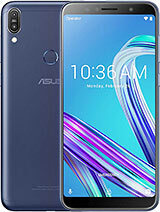 For Zenfone 5 only LTE version h... moreCan it fix the battery problem? 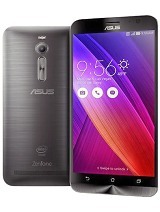 AnonD-313233, 01 Oct 2014Android kitkat for zenfone 5 has release or not?No, not yet. 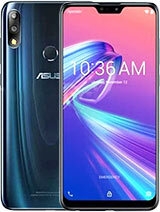 Only some territories for Zenfone 4 and 6. For Zenfone 5 only LTE version has "official" release of Kitkat. The one I am playing with is not on any site, and I am not sure if this will be final version released for it. Likely not. AnonD-279813, 01 Oct 2014Saying that the battery life was improved would be admitting that it sucked before. 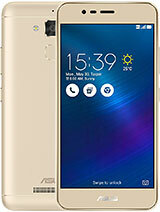 If cour... moreAndroid kitkat for zenfone 5 has release or not? 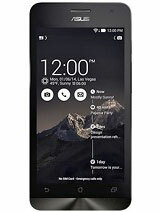 AnonD-314258, 01 Oct 2014Yaa i besides in india but i heard that the handset would not come in the market now. Is it t... moreIndia is one of the hottest markets for Zenfone and I can't believe that this could be true. AnonD-279813, 01 Oct 2014That depends on the country. 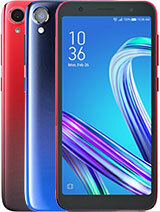 In some countries they are readily available, but the shipments a... moreYaa i besides in india but i heard that the handset would not come in the market now. AnonD-302492, 01 Oct 2014well,regarding to the new improvements that they did on the chinese kitkat update im dissapoin... moreSaying that the battery life was improved would be admitting that it sucked before. If course it won't be mentioned even when there are improvements. 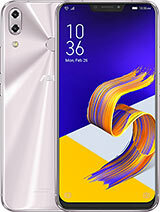 I have 4.4.2 on Zenfone 5 loaded, and one of the others on 4.3 pulled them off the charger at the same time, and they are both idle - 2 SIMs each, identical telecoms, sitting one next to the other, 3G on, no calls, several email addresses (same ones) and same apps sync enabled. At this moment, the JB has 88% battery and 92% on KitKat. But this is not a scientific experiment and there could be other things affecting this. See the answer to your entry under "Jane"
Jane, 01 Oct 2014I got my z5 yesterday and yeah it has a heating problem but not that much I just have a probl... moreTry to "forget" the network first. Sometimes on cheap routers, you need to reset the router before it accepts the new device. Sometimes that also happens because devices have a long lease period of DHCP assigned IP address, and you have high frequency of changes. Try to turn the wifi off and on in the phone settings as well, or choose manual settings. I remember that one of the updates had wifi issues, and the next one resolved them, but my memory today is very lousy, can't remember which it was. Please install 1.18.40 complete firmware, and let me know if it still does not work. PS: does it work with any other wifi? Like if you have another phone that can share internet connection via Wifi - can you connect to that? So does it work with some but not others, or it works with none? If with none, there could be hardware fault or software fault. Hardware can't do anything. Software - load full last version of firmware and do a factory reset to wipe everything that could be blocking it. Mariz, 01 Oct 2014Hi Tomazz Could you tell me on what should i buy? Asus z5, Xiaomi mi3 or Samsung Avant?Go to shop, test all 3, choose the one you like the most. AnonD-314258, 01 Oct 2014Hello tomazz i regularly hear ur opinions and i find them useful a lot but i just want to know... moreThat depends on the country. In some countries they are readily available, but the shipments are generally once per 2-3 weeks to each of the countries. Since the phone is quite popular, it is in short supply in some countries. But as I assume you are in India, you would need to ask that from Flipkart or Asus India. 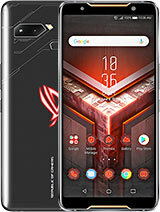 well,regarding to the new improvements that they did on the chinese kitkat update im dissapointed!ive expected some improvements in battery life..
1 system upgrade to Android KitKat 4.4. 2 New phone calls harassment interception. 3 new video effects can be added to the movie in a variety of special effects filters. 4 new phone number search function strange, if you're mode, the original card clawback mechanism and dual card dual standby access. - Improved Chinese handwriting recognition rate, even if the Chinese writing stroke order to adjust or different, can quickly identify. - Provide contact telephone records and who calls Easy mode newsletter large font version. - Added notification feature is not reading the word from the VIP contacts, including missed calls, unread email, unread SMS. - Added harassing phone calls to intercept function (this function only in Taiwan and China to use). - Added a strange phone number search function, if you're mode. - Added call back to the original card Clawback call records, the use of caller ID callback. - New dual card dual standby access functions available at call, accept pluggable prompted another phone number. - New SMS function, increased functionality can be marked VIP newsletter. - New camera features automatic start anti-shake function. - New camera features video effects, filters can be added to a variety of special effects in the video process. - New video rotation, select the desired movie to follow the vertical or horizontal play. - Add a picture browse mode, to provide mobile phone / tablet horizontal screen best display. " - New Photo Gallery micro film features. - Added "Data transfer" application, allowing you to transfer significant increase user data (eg, contacts and other information, etc.) from other mobile device brands. - New exclusive emoticons Bbbler Actors functions "Omlet chat rooms." - New FM radio channels broadcasting in manual input. - Added automatic search for a local FM radio station list. - Added support for FM radio broadcasting system to display digital station name and text messages (RDS). - New PC Link, Remote Link. - Added support for 24-hour display. - Added background transparency level adjustment based on preference. - New ways to remove notification card using the slide project. -What's Next notice the new fast action button. Can u pls help me i dint know why i cant connect to the wifi at school and at home eventhough i entered the right password it says authentication problem? ?